PJ PURRS recently made the decision to discontinue our breeding program and close our little cattery. After many years of breeding these beautiful kitties, and many special memories, we felt it was time to turn our focus elsewhere. 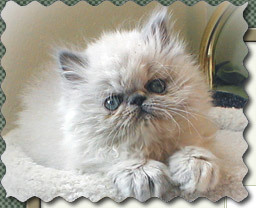 We will no longer have any kittens for sale, but hope you will continue to enjoy our website and our beautiful babies. P-J Purrs Himalayans is a small CFA registered cattery located in southeastern Washington state, owned by Paul and Judy Guenther. The cats and their care are Judy's responsibility, while Paul provides help where needed and lots of moral support. We have been breeding cats since 1980, starting with a pair of Balinese cats. 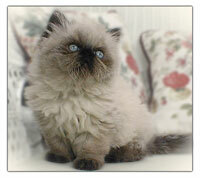 We obtained our first Himalayan in 1991, and now breed only Himalayans. Our cattery is very small, with one stud and two breeding females. We intend to always stay small so we can devote lots of individual time and attention to each cat. 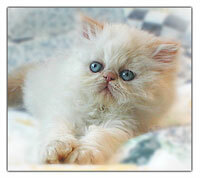 Our goal is to produce a limited number of healthy, beautiful kittens with wonderful temperaments. We are very involved with our church on Sundays, so have never been involved in showing our cats. However, we work with excellent bloodlines, and have spent several years updating our lines to reflect current show standards. I (Judy) am a full-time homemaker. I am privileged to be able to devote my time to our acre of yard and garden, and keep close by to care for our cats. I make it a point to be present for every labor and delivery, and strive to be up to date on all our cats' health, grooming, and general well being. Our home More on our home environment and kitten-raising philosophy. Himalayans Learn more about the Himalayan breed. Want one? Get info on contacting us about reserving a kitten. Be sure to check out the kitten page for updates on current litters.